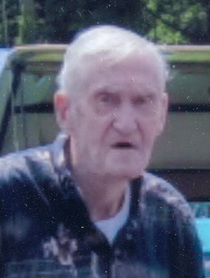 Thomas E. South Sr., age 83, of Miltonsburg, Ohio passed away Friday October 3, 2014 at the Woodsfield Nursing & Rehabilitation Center. He was born in Woodsfield, Ohio January 8, 1931 a son of the late Curtis & Hortense Haynes South. He was a retired truck driver for Broughton’s Dairy with 36 years of service, was the owner operator of Arms & Amo of Miltonsburg for over 30 years. He was a U.S. Navy Veteran, member of Beallsville American Legion Post 768 , match director of Ozark Metallic Silhouette Club for more than 20 years, and life member of the NRA. He loved handgun hunting and target shooting and was an avid hunter. He is survived by his wife Norma Wood South of Miltonsburg, three sons Tom (Sherry) South Jr., Walter (Joann) South, and Jack (Kathy) South, five grandchildren, and 6 great grandchildren. Visitation will be held from 11:00 a.m. until time of Funeral Service at 1 p.m. Tuesday October 7, 2014 at the Bauer-Turner Funeral Home 100 S. Paul St. Woodsfield, Ohio with Rev. William Graham officiating. Burial will follow at the Oaklawn Cemetery Woodsfield. Full Military Services will be held at 1 p.m. Tuesday at the funeral home. There will be a meal provided after the graveside service at the Woodsfield Nazarene Church fellowship hall. Memorial contributions may be made to the Beallsville American Legion Post 768, 52651 TH 2770, Beallsville, Ohio 43716.